Multi coloured Christmas Tree decorations | Let their light shine! 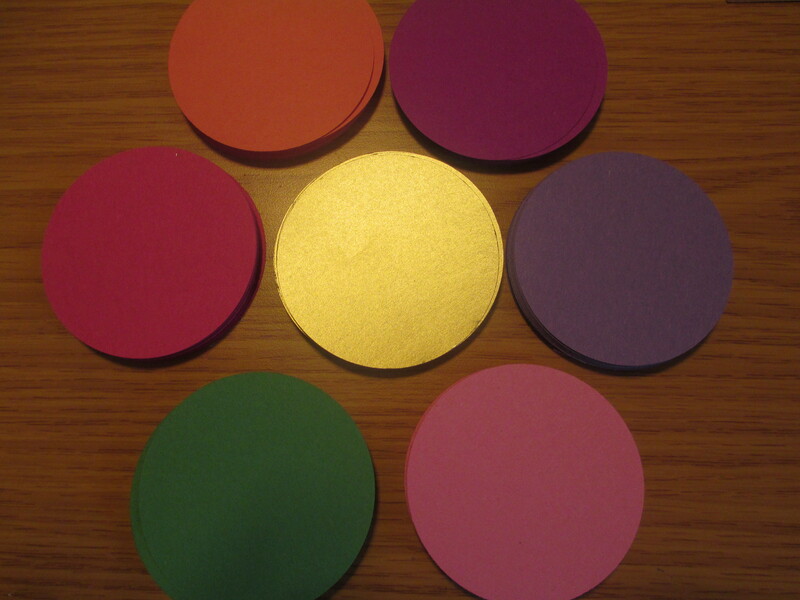 You will need sugar paper or gold or silver card (about 100g in weight) cut in to circles. Aim for five circles per decoration. 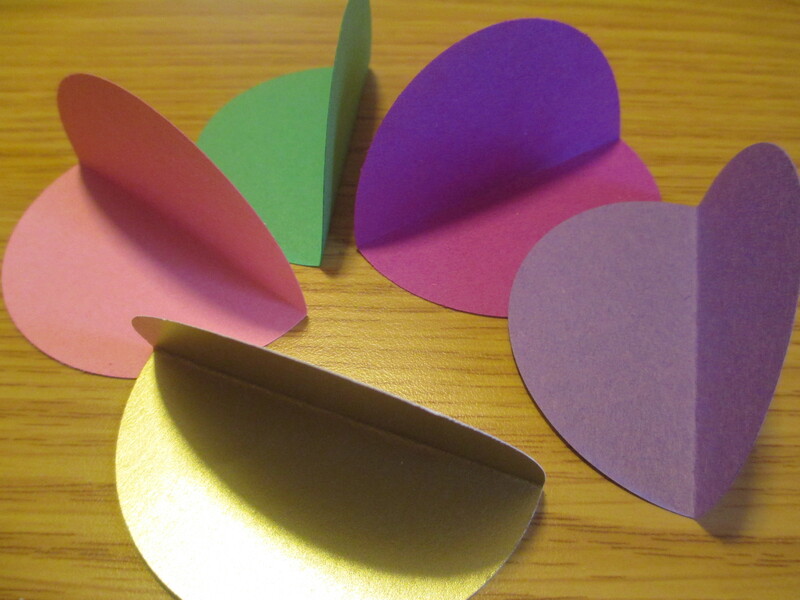 Fold each of the five circles in half – if the gold/silver card is white on one side make sure you fold that circle with the gold/silver on the inside. 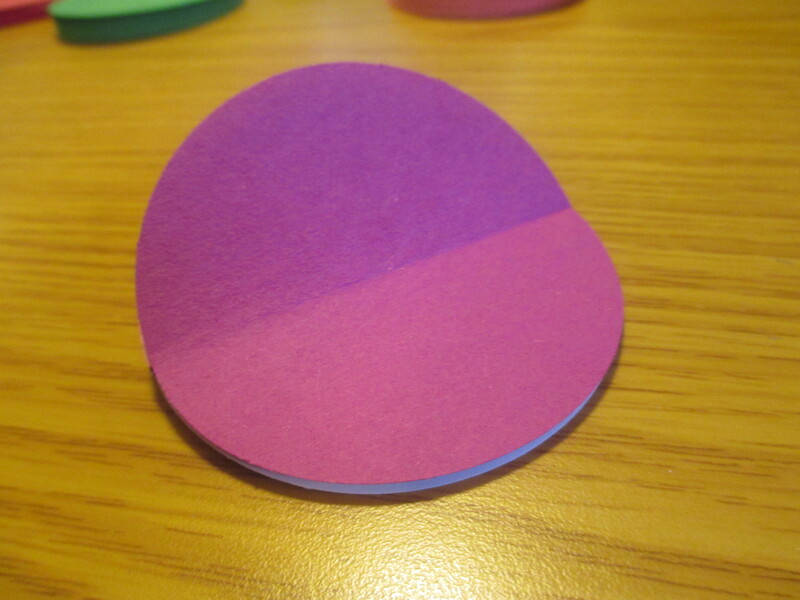 Start to glue together – take on circle – glue one half of it – and stick another circle to it – carry this on till you have one circle left and then stick all of that circle to the decoration to make it complete. You need to punch a hole in the decoration. This is tricky! 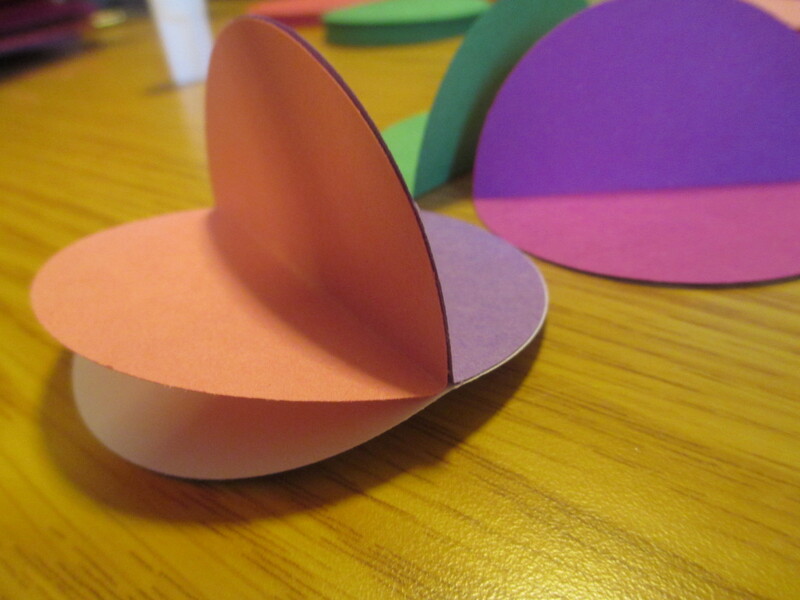 Fold the decoration as in the picture and carefully punch a hole. 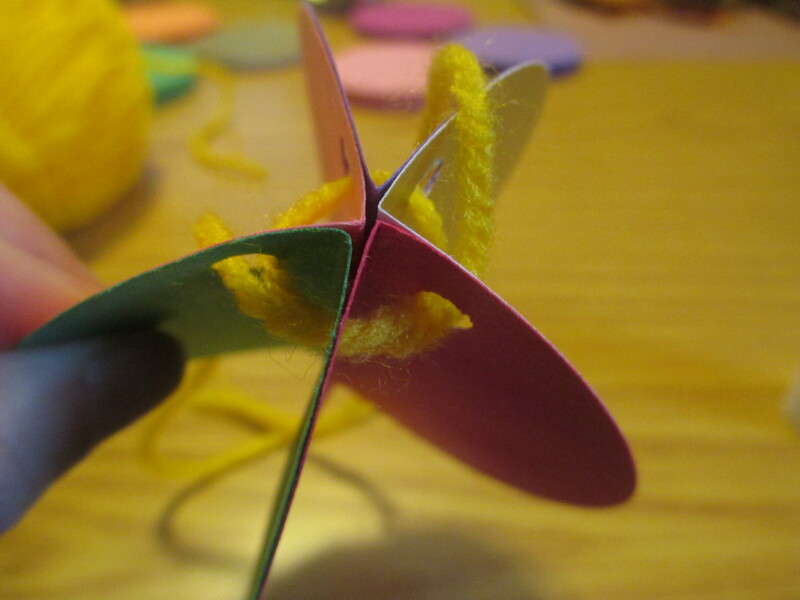 Add wool or similar – to make the decoration hang straight thread one piece of the woolpart way round again so the two threads are opposite each other and then tie a knot. 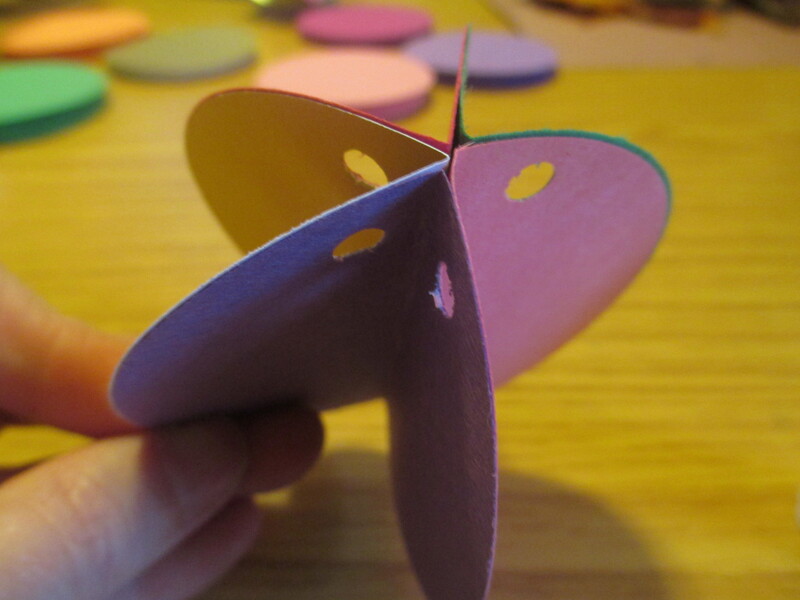 You can do different colour combinations and younger children might like to make the decoration with just four circles to begin with. 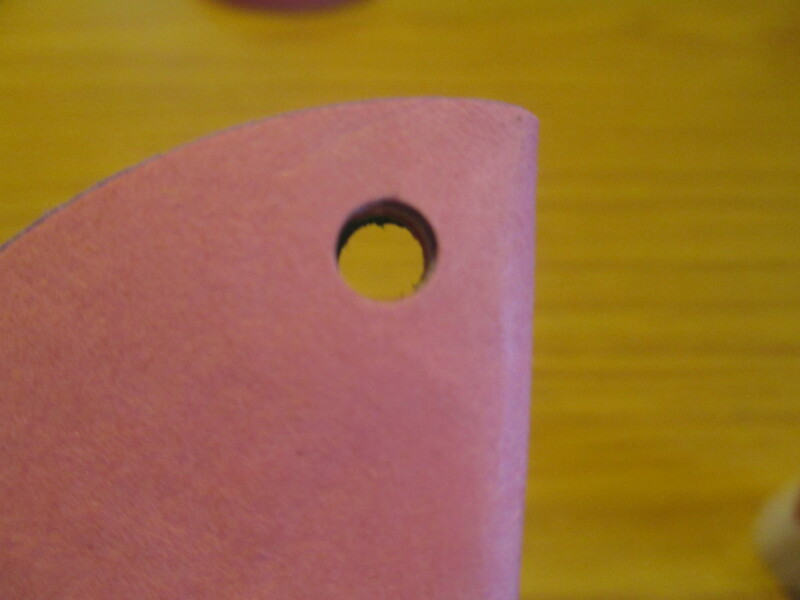 You can buy ready cut circles or use a 3inch craft punch. 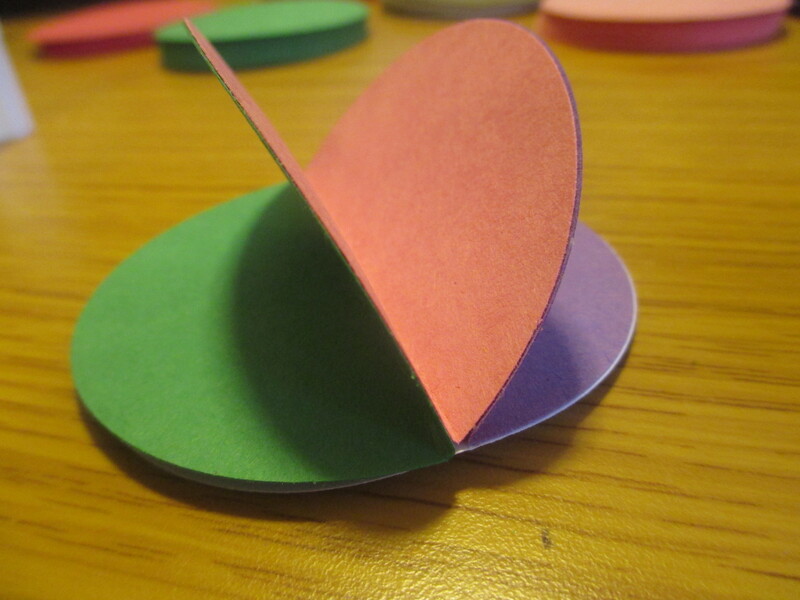 It is best to have perfect circles but you could cut your own. « Bible Alphabet – f is for field where treasure was found.